I recently upgraded my cellphone and purchase a LG VX8300. I really like this phone over my Samsung A670 since it has Bluetooth capabilities and a better sound, including a speaker phone. 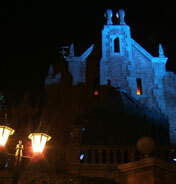 The screen is a little bigger, and I with that I needed create some new Disney World Haunted Mansion wallpaper. 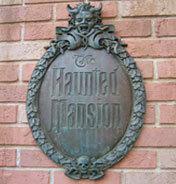 If your a Haunted Mansion fan, and have a LG VX8300 download these wallpapers that I created. I am working on some ring tones. For some reason, Disney isn't providing any Haunted Mansions ringtones as they did when I purchased the Samsun A670 a couple of years ago. 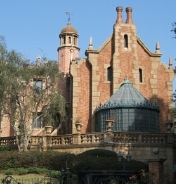 I think this is a big mistake since there are plenty of Haunted Mansions fans that would like to have Grim Grinning Ghosts as a ring tone. Once I am done with it, I'll put it up here so others can download it. Oh, Vista doesn't officially come till next week. Lets see where the numbers stand Tuesday morning (January 31, 2007), once users installed it and start blogging it. Wow Apple announced the iPhone for $499! The bad news is that it runs on Cingular network. Apple would have been better to make a couple of these for different providers. In the northeast, Verizon pretty much has the most coverage. After all, they will have to make a different phone for Europe and for Asia. I have been working on the features section of this website and looking to take advantage of using Final Cut Express HD that I purchased last year. I have my VCR connected to my Sony DCR-TRV720, as a pass-through and connected to my desktop computer using firewire. I got this working in Final Cut Express, so that I can record video, by using File > Easy Setup and selected DV-NTSC DV Converter. The only downside is that the audio doesn't play through the speakers. Final Cut Express HD is a great piece of software, and one of the cool things that I didn't know that was included is Apple Compressor. This allows me to compress multiple Movies at the same time! Very Cool! I currently have Media Cleaner 5 for all my compression, and its a great tool. But its a little out of date and I am unable to compress using the latest H.264 Codec. I am not sure if its worth getting the upgrade to Cleaner 6.5 since that costs $179. I think the key advanage would be the RealMedia and the popular Flash Movie Format that is not available in Apple's Compressor2. I'll investigate other options, as there might be some plug-ins that might work with Quicktime or Compressor, such as Helix Producer. I am in the process of Installing Oracle on my Powerbook G4 and G4 Desktop for development purposes. Here are the steps I am currently using. sudo nicl . -append /groups/dba passwd "*"
A really cool feature in Text Edit is the ability to save Graphics inside the documents. This works well with Safari. The following is a list of workout songs that I found. This list was create in early 2001. I am sure that there's some additional songs that could make this list. Apple has discontinued the Apple Card for the Apple Extreme card. However not all computers can use the new card. You can search ebay for Apple Cards, but they cost $129+. Which is a lot of money to spend to make your desktop computer wireless. This is a short term solution, over the next few months, I'll be building a home network that will replace the wireless connection. The 'DS' Light was flashing non-stop, indicating that it was not getting a signal. I had to try a different cable wall jack. Turns out the one I was using was not set up correctly. Once I got connected I just went through www.comcast.net instead of using the CD installation. For some reason on my Mac, Comcast kept disabling the Ethernet port. You will need this for Comcast Cable. The Ethernet ID is what you need. Shut down the computer, and unplug the power cables to both the�router and the Broadband modem. Disconnect the Ethernet cable from the computer and plug it into the Internet or WAN port of the router. Take another the Ethernet cable and connect it to the computer.� Then, take the other end of that same cable and connect it to Port 2 on the back of the router. So you have at this point the Modem cable going into the 'Internet' port of the Router and a cable from your computer to the Router second ethernet port. Plug in the Broadband modem's power cable and wait for all of its�lights to stop blinking. After the lights on the Broadband modem stop blinking, plug in the router's power cable. When the browser window opens, go to the Address bar and type in the router's IP Address and�click on the Go button (192.168.1.1�is the default IP address of Linksys Routers). A window will appear prompting for a "User Name" and a "Password".� Leave the "User Name" field blank, and type�in�the router's password�and�click on the OK button to login (admin is the default password). The router's web-based "Setup" utility�should then�load. From the "Setup" page, click on the MAC Address Clone sub-tab. In�the "MAC Clone" section, set the option to Enable. Click on the Clone Your PC's MAC button.� Once this is�done, the "User Defined Entry" will show MAC Address of the Ethernet Adapter of the�computer you are using.� Verify this address with�the Mac Address"�observed�in�earlier steps. To make the Wireless Work, click on the 'Wireless' tab, then click on the green button. It will instruct you to click on the Cisco Systems logo on the Router. Be sure to use a cool Wireless Network Name! Create a line the length that you want. This is great if you are creating custom index card or custom cards for the scan card system. Right now on my Powerbook G4 I have 8 applications open, and these represent the most productive applications that I use at work. Yesterday, Apple announced some pretty good numbers for last quarter. Once again the iPods are stealing the show. I can't wait until they have a living room version of the iPod, a device that will replace having Multi-CD Electronic devices. Apple made it easy to copy Applications from my old laptop onto my new laptop. It took a couple of hours to move 20 GB of data. All this was automatic. I just connected the two computers and told it what I wanted to copy. It couldn't have been easier. I had to enter in my Serial Number for Snapz-Pro and install MySQL. Other than that, things work as they did before. They were selling 512MB Ram for $150 with free installation. I declined that knowing that I could get a better deal online. I found places that had the same memory for $50. The screen is much brighter and some applications do appear to open faster. In March I purchased Sticky Brain, however due to problems with the software in my upgrade to MAc OX 10.4, I can no longer use the software. I tried to uninstall, reinstall and nothing worked. I have two computers and can't get the main program to work. The shortcuts and other features work, but I can't get to the main screen. Other people were having a problem with Sticky Brian, so I decided, since I use the program as a work tool, that I need a different application. Right now I am using DEVON think, and so far everything is working well. I think the problem with Sticky Brain is that it uses OpenBase as a database and I have MySQL installed on both computers. I program a lot in MySQL, so I don't plan to uninstall the database.